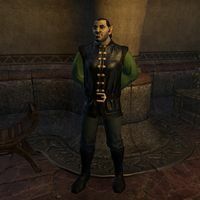 Stugbulukh is an Orc noble who can be found in the Saint Olms Waistworks in Vivec City. He stands in the hallway outside the Tanners and Miners Hall. Stugbulukh has no unique dialogue.